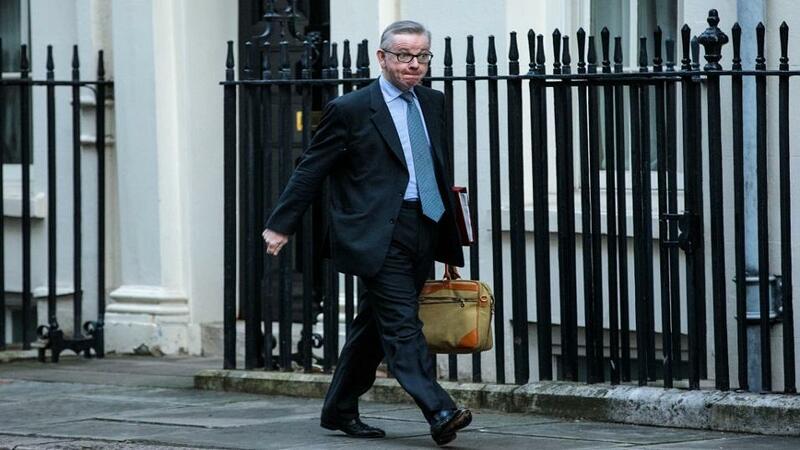 "Gove has been carefully building a leadership team in preparation. Significantly The Sun - mouthpiece of his old boss and friend Rupert Murdoch - is calling for the PM to resign this morning." If anyone was still in doubt that Brexit is, fundamentally, a Conservative Party soap opera, the weekend's events surely confirmed it. As voices from across the political spectrum talked of 'national crisis and 'humiliation', the Tory civil war intensified. Yesterday's Sunday Times reported a Cabinet coup to be underway - with a view towards some kind of unprecedented caretaker PM scenario. The names involved are Michael Gove, Jeremy Hunt and David Lidington. The journalist, Tim Shipman, has impeccable sources and is arguably the foremost chronicler of this government. There was immediately plenty of pushback. Naturally Gove and Lidington distanced themselves - they would, wouldn't they? On the Marr show, Brexiter backbencher Iain Duncan Smith called Lidington 'the answer to a question nobody asked'. Word emerged that Brexiter MPs didn't trust Gove. In a different story one-time arch-Remainer Nicky Morgan is reported to be the preferred unity candidate by the ERG. Gove is now favourite in both markets, at [5.0] and [5.5] respectively; Lidington down to [10.0] and [20.0]; Hunt [11.0] and [15.0]; Morgan [65.0] and [150.0]. They are merely four among at least a dozen potential winners. Nevertheless, nothing has dulled my enthusiasm for backing Gove - recommended for the third time on these pages at [6.2] last Friday. This scenario has long been in mind. One where May's leadership has hit the wall and a replacement needed quickly. Gove is the ultimate political player. He and his Mail-journalist wife Sarah Vine have gamed this out since the last leadership contest - when they collectively knifed Boris Johnson. I thought he was on the verge of resigning after last year's Chequers fiasco but Dominic Raab stole his thunder with a very early morning resignation. The Environment Secretary went off grid for hours that day, shrewdly keeping the media speculation alive, before hesitantly sticking with May. Both men, not to mention Johnson, are of course positioning to be the leading Brexiter. If Tory members decide, voting Remain in 2016 is probably a disqualifier. Raab retained his purity and is thus a live runner but Gove's strategy may yet prove superior. According to Shipman, Gove has been carefully building a leadership team in preparation. Significantly The Sun - mouthpiece of his old boss and friend Rupert Murdoch - is calling for the PM to resign this morning. If the job does suddenly become available, he is perfectly placed as the most senior Leaver in the Cabinet. A heavyweight who has proven himself capable of reaching out across to Remainer colleagues, in the interests of party unity and getting the Withdrawal Agreement through. His immediate problem, it seems, is resistance from rivals. Sajid Javid's leadership ambitions are equally transparent and the Home Secretary is reportedly dead against a deal that might ruin his plans. Predictable, but not necessarily sustainable once events have run their course. At the time of writing, nobody knows what will happen this week. It is widely predicted that backbenchers seize control of the parliamentary order paper and launch indicative votes on various different Brexit outcomes. I find this analysis convincing - that the likeliest majority is for a deal involving a customs union. Initial Projections indicate that in an AV, ranked indicative vote system, the outcome would be a deal that involved a customs union. However, it would be close between that, May's Deal and a 2nd Referendum. Such an outcome would infuriate headline Brexiters but they may be forced to ultimately accept that the next PM will have their hands tied. May can't deliver that deal and it is hard to see a 2016 Remainer like Lidington, Hunt, Javid or Morgan being able to sell it to Brexiters who've spent the last two years bemoaning being led by a Remainer who was bound to betray them. Gove, who has advocated for Norway Plus, is just about the only senior Tory I could see pulling it off. He is a superb debater, master of rhetoric and would have the Tory press behind him. Some pure Brexiters distrust him but some no dealers such as Darren Grimes are supportive. Regarding any such Norway-style deal, don't underestimate party political considerations. This is more or less Labour's position. If MPs do 'impose' it on the executive, some might paint it as a win for Jeremy Corbyn, who could find himself in the odd position of marshalling a cross-party consensus. That is about as acceptable to Tories as cancelling Brexit altogether. This process - helped no end by May's red lines that have defined the debate - has split the Tories down the middle. They are at a pivotal moment in their history. We could soon be talking about an existential crisis. It requires an opportunistic, flexible leader with special rhetorical and therefore persuasion skills. Nobody is better placed, qualified or prepared than Michael Gove.